A village court in Bihar’s Aurangabad district on Saturday banned the sale and purchase of ‘Made in China’ goods, after declaring China an enemy for supporting Pakistan. It also passed a provision with consensus to punish people found violating the order by imposing a fine, officials said. 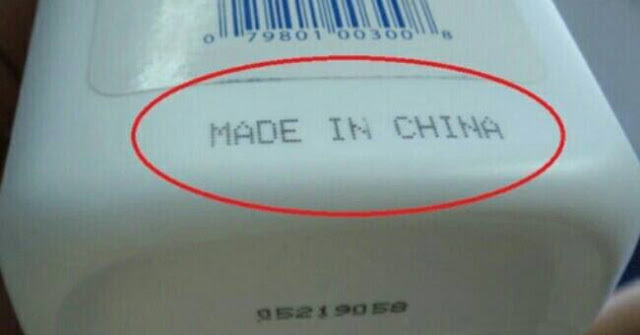 This is the first instance, when a village body banned ‘Made in China’ products. The Gram Kachahri (village court) of Obra panchayat decided to ban the products manufactured in China, impacting the sale of Chinese goods in the panchayat area with a population of over 10,000, a district official said. Gudiya Devi, sarpanch of the village court, said that she had called a meeting that was attended by members of the village court and local residents. “We have decided to ban ‘Made in China’ goods and appealed to people not to use any Chinese goods,” the sarpanch said. Gudia said local residents also supported the move to ban the sale and purchase of such products. According to her, there are over two dozen shops in Obra panchayat that sell ‘Made in China’ goods. Last year, during the festival season, they sold China manufactured items worth lakhs of rupees. A majority of these goods include toys, fancy lights, gift items, plastic ware and decorative goods. In rural India, there is a huge market for Chinese products as they are cheaper, compared to those produced in India. But in the wake of the Uri attack, and China’s support for Pakistan, many have called for a ban on the export of Chinese products in the country.